If you have some free time, watch this 20 minute dive into why Stanley Kubrick was such a master filmmaker. If you don’t have some free time, make some. Channel Criswell’s look into the cinematic experience of Stanley Kubrick is so well done and so well researched that it’s absolutely worth checking out. Kubrick paid such attention to detail in his movies, and exerted such total control over his films, that he was able to deliver depth in all his scenes. Everything he did was so considered. Every move was so specific that it may not even register consciously at first—but eventually it seeps in. Every movie allows us to put together our own meaning from the puzzle pieces he gave us. This overarching look at his entire career shows us the experience of how a Kubrick film was created and how it evolved. 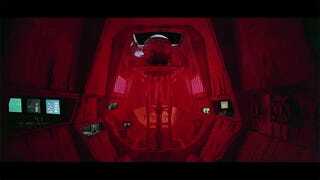 If you’re a Kubrick fan, you’ll obviously enjoy the video below. If you always wondered what made him so special, you’ll find out soon.